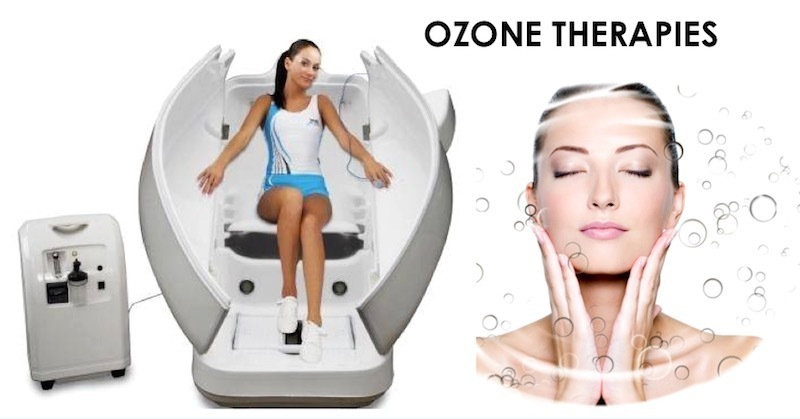 Ozone Sauna Therapy: Ozone (O3) gas discovered in the mid-nineteenth century is a molecule consisting of three atoms of oxygen in a dynamically unstable structure due to the presence of mesomeric states. Ozone therapy has been utilized and heavily studied for more than a century. Its effects are proven, consistent, safe and with minimal and preventable side effects. Medical O3 is used to disinfect and treat disease. Mechanism of actions is by inactivation of bacteria, viruses, fungi, yeast and protozoa, stimulating the metabolism’s oxygen and activating the immune system. Ozone Sauna Therapy Benefits: An activated oxygen session is one of the most powerful methods to detoxify and oxygenate your body. The moist head in the steam sauna opens up your pores and dilates the capillaries, helping to “flood your body with oxygen”. The activated oxygen oxidizes toxins in fat, blood, and the lymph system. The majority of the toxins are sweated out in the sauna, which customers may be able to see the toxins after their sauna session. A sauna session can burn as many as 600-1000 calories as your heart rate increases by 50-75% during a session. This increases circulation, metabolism, and energy. Enhanced cellular immunity with an overall feeling of having been “cleansed.” Restoration of suppleness and elasticity with increased oxygen. Increased oxygen levels stimulate production of new skin cells. Toxins are removed from fat. This leaves the body to no longer need the fat to store the toxins and substantial weight loss is often realized.